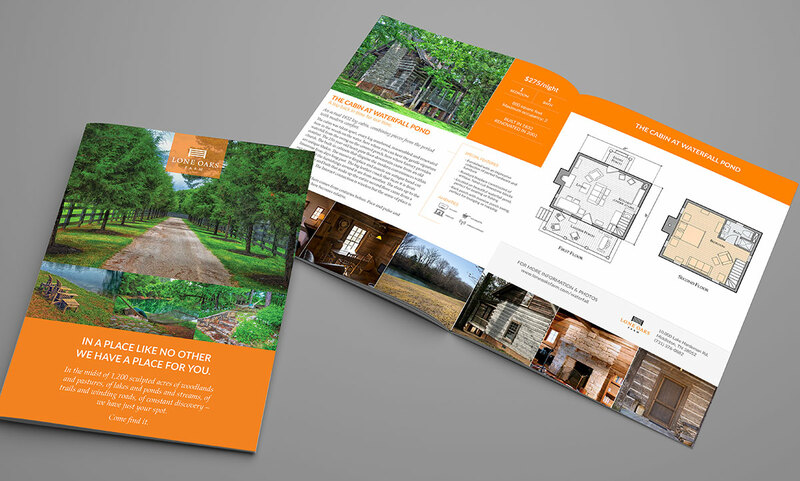 To promote their lodging opportunities, Lone Oaks Farm wanted a booklet design that could be have individual sheets printed out on a local desktop printer as well as professionally printed and saddle-stitched to form a booklet. We worked with them to create a layout that highlights the features of each facility including amenities, floor plan, size, maximum capacity, and a short description. We suggested the use of shortened ‘vanity’ URLs for each page that are 301 redirected to the actual landing page on the website for each facility.